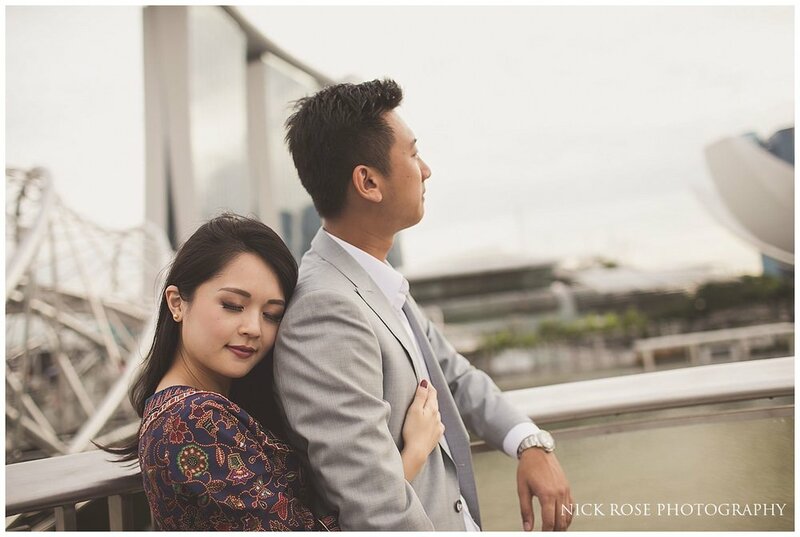 Marina Bay in Singapore and Gardens by the Bay was the perfect location for a pre wedding photography shoot with this amazing couple. 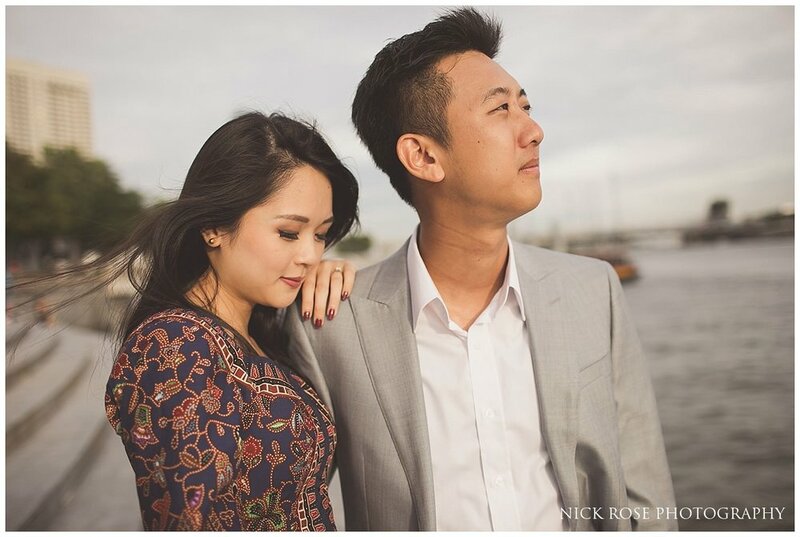 I met Terence and Chris in Singapore the week before we were planning to travel to Scotland for the main pre wedding shoot which we had planned to take in Glencoe and the Scottish highlands and you can check out their amazing pre wedding photography in Scotland here. 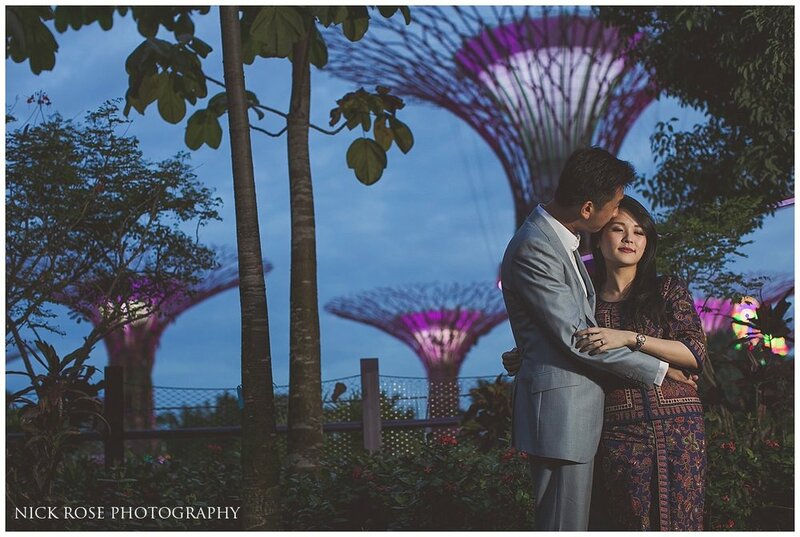 As I was already in Singapore to photograph a wedding it seemed like a great idea to meet up with this couple in their home city of Singapore to take a few photographs around Marina Bay and Gardens by the Bay. 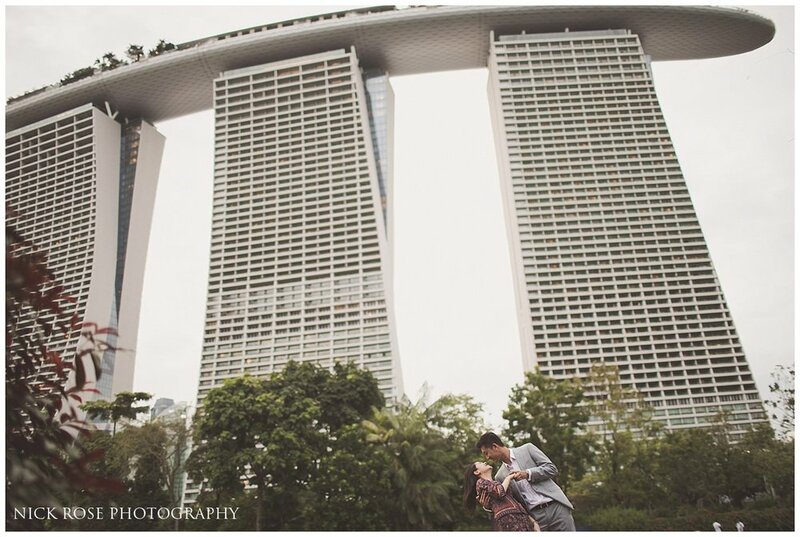 Marina Bay is definitely one of Singapore's main attractions and the views here are simply stunning across the bay. 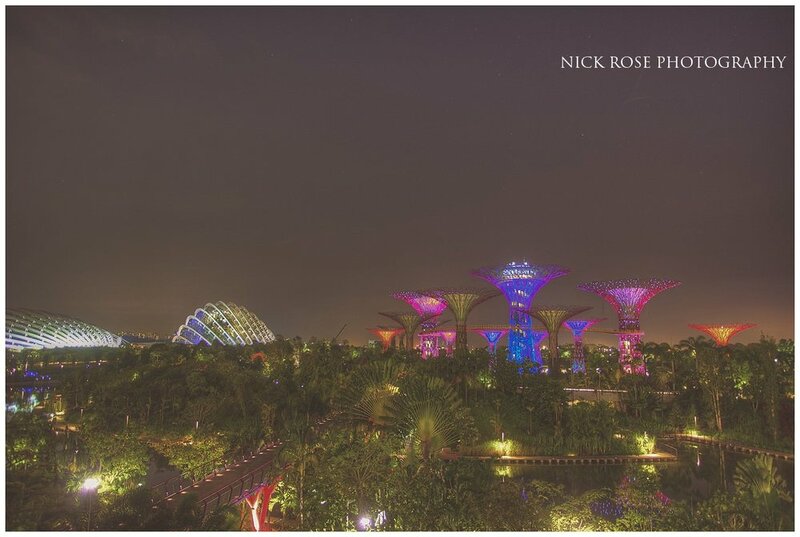 The Marina Bay Sands Hotel is one of the most iconic hotels in the world and the more recent addition of the Gardens by the Bay has made the whole area even more attractive. 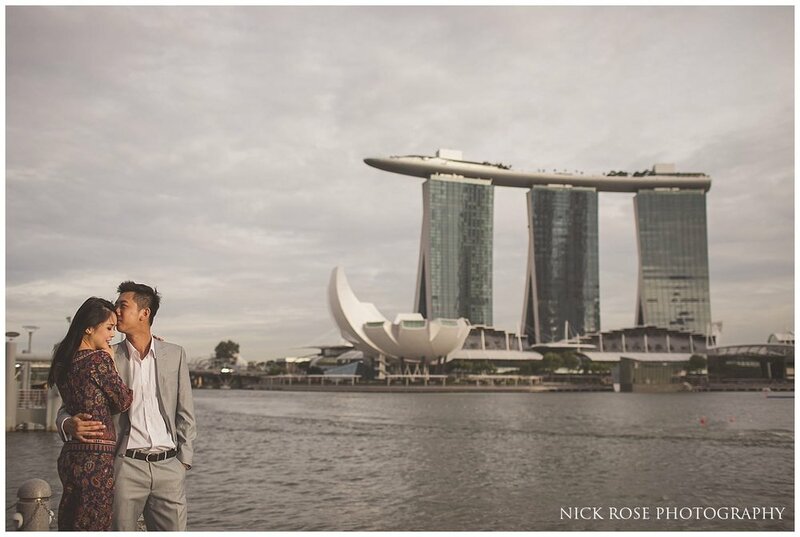 We spend the early evening around Marina Bay before heading into the Gardens by the Bay for a few evening and night photographs. As it was just before Christmas most of the area had been closed of for the Singapore winter wonderland which seemed quite strange to somebody from London standing in 30 degree heat! 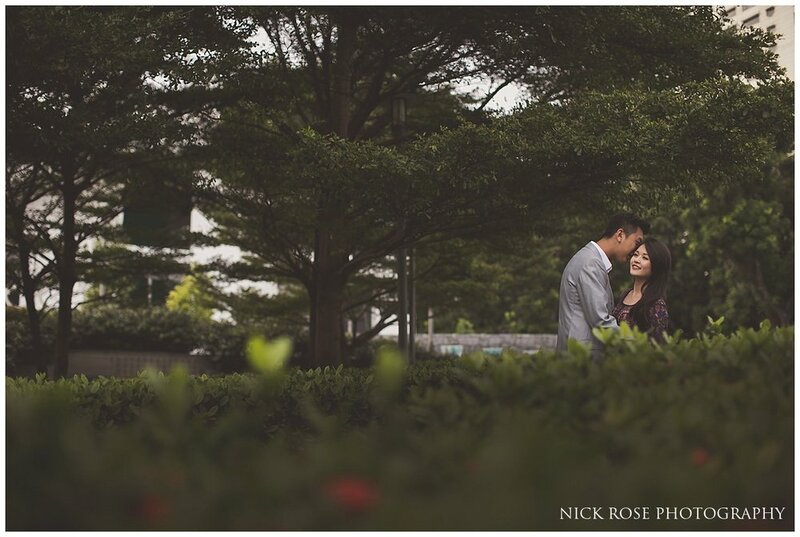 We were still able to get some great shots in the gardens and Terrence and Chris were so great to work with. 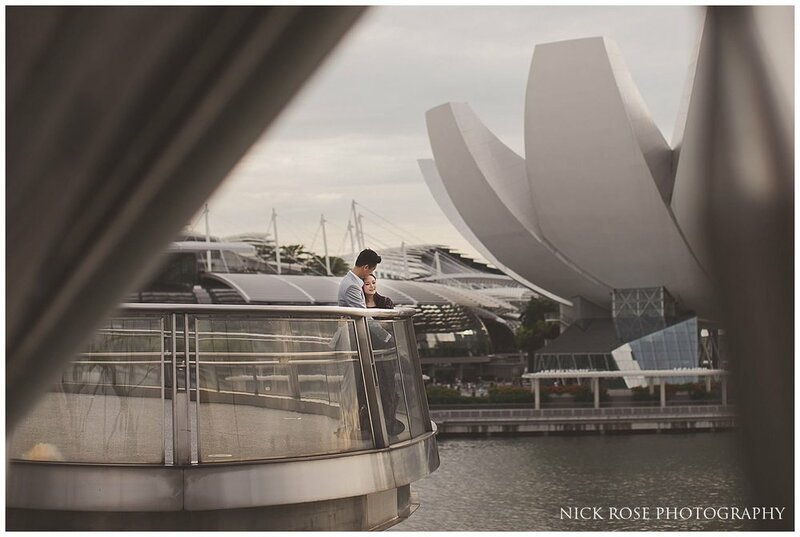 Here are a few images from this Singapore pre wedding shoot at Marina Bay Sands.